Builders works with local communities in an effort to help enhance the quality of life for all our neighbors. We receive many inquiries for donations and event participation and it is our desire to fulfill as many requests as we are able. While we cannot satisfy the needs of every request, we do our best to help as many charitable organizations as possible. Together, we make a difference. Eagle Scout Project Troop 158 Eagle Scout Alex Williams worked with the staff at Builders in Kearney to get the materials to replace the sign at the Nebraska Youth Camp in Kearney. Builders ordered custom cedar planks to create the main part of the sign. 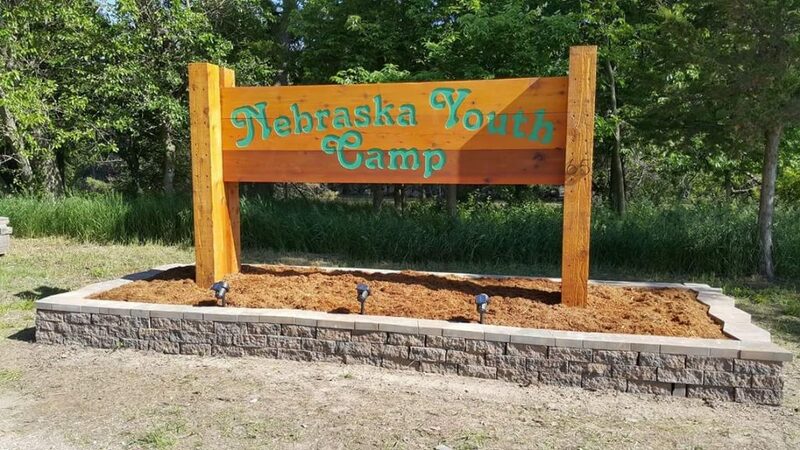 The paint, stain, address numbers, pavers, mulch, and solar lighting … Continue reading "Eagle Scouts Project – Nebraska Youth Camp"
The Habitat for Humanity Home Builders Blitz 2017 As part of a national effort, home builders, sub-contractors, and suppliers across the county partnered with Habitat for Humanity June 5-9. 300 Habitat homes were built across the country. 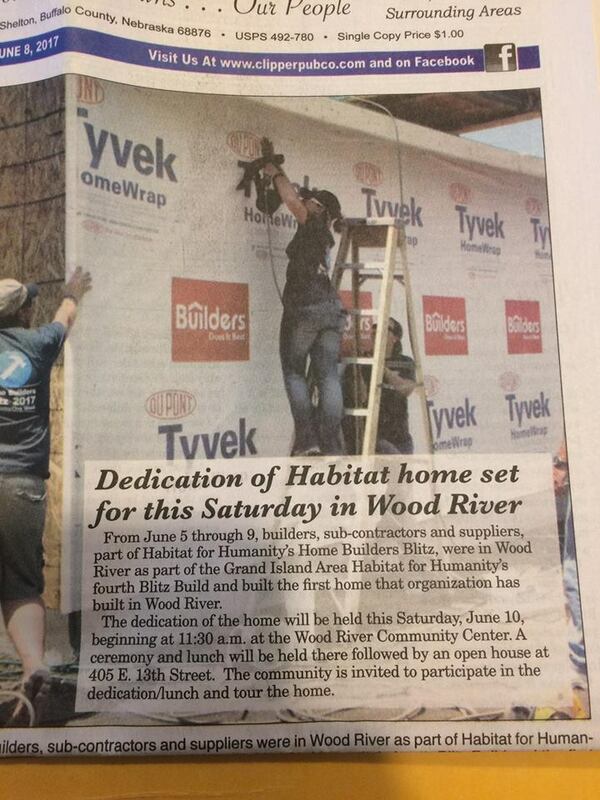 This was Grand Island Area Habitat for Humanity's fourth “blitz build”. 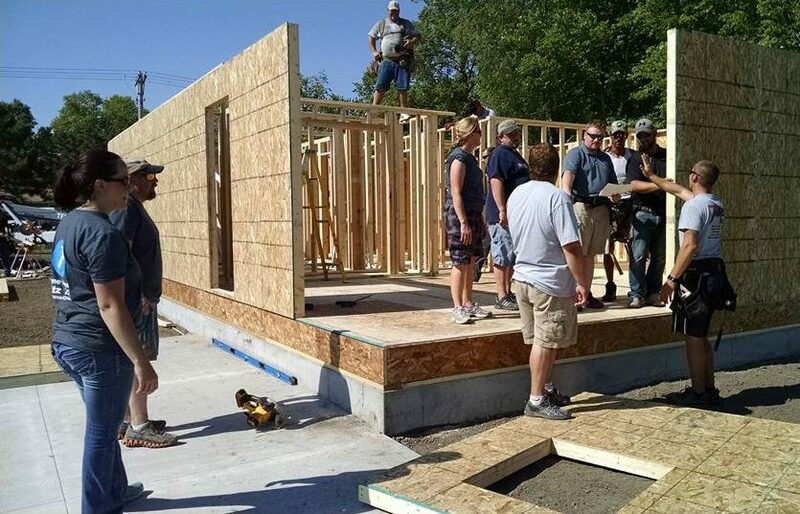 The 2017 "Blitz Build" was in Wood River. 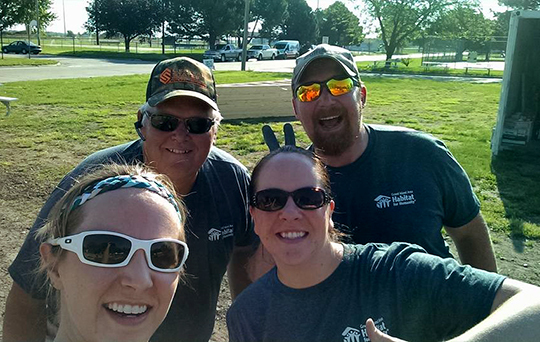 The support … Continue reading "Habitat for Humanity’s Home Builders Blitz 2017"